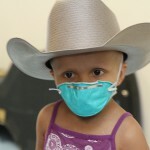 Inspired by the courageous story of young girl who had lost her battle with a rare form of cancer, professional comedian â€œCowboyâ€ Bill Martin decided to do his part to make a difference in the lives of children with life-threatening illnesses, creating the Cowboys Who Care Foundation which provides financial support, smiles and free cowboy hats to these special children. 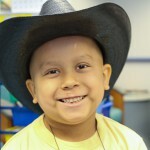 Since Cowboys Who Care was founded in May 2012, the organization has provided more than 1,600 cowboy hats to patients at childrenâ€™s hospitals throughout the country, while raising funds to provide financial support to the childrenâ€™s families. Additional information on the Cowboys Who Care Foundation is available at www.cowboyswhocare.org. Information on â€œCowboyâ€ Bill Martin is available at www.cowboybill.com.